Live long, prosper ... and Spock your bills. 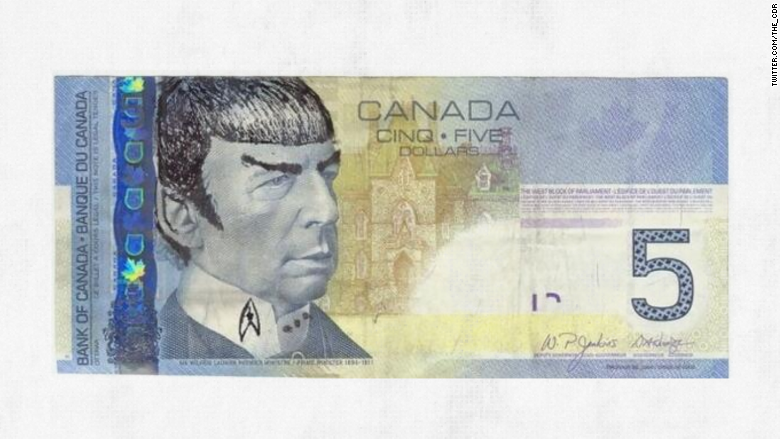 Actor Leonard Nimoy -- Spock -- died last week, but he lives on, as Canadians leave their tribute to the "Star Trek" legend on the face of Canadian currency. In other words, Canadians are sketching a Spock-style bowl haircut with pointed 1960s sideburns over the mostly hairless pate of Sir Wilfrid Laurier, who was prime minister of Canada from 1896 to 1911. Laurier's face adorns the $5 bill, the lowest denomination of Canadian paper currency. With a bit of scribbling, he does sort of resemble Nimoy, the oxymoronic author of two autobiographies: "I Am Not Spock" and "I Am Spock." The artist community Canadian Design Resource, for example, called on its Twitter followers to "Spock your $5 bills for Leonard Nimoy." Spock your bills. What better way to remember our favorite Vulcan? "That is highly illogical ... I mean 'illegal,'" Tweeted Tom Megginson, in a nod towards Nimoy's song "Highly Illogical," where the Vulcan-human hybrid complains about the emotionally charged mating rituals of homo sapiens. Another Twitter follower complained, "Damn new polymer notes. Too hard to write on." 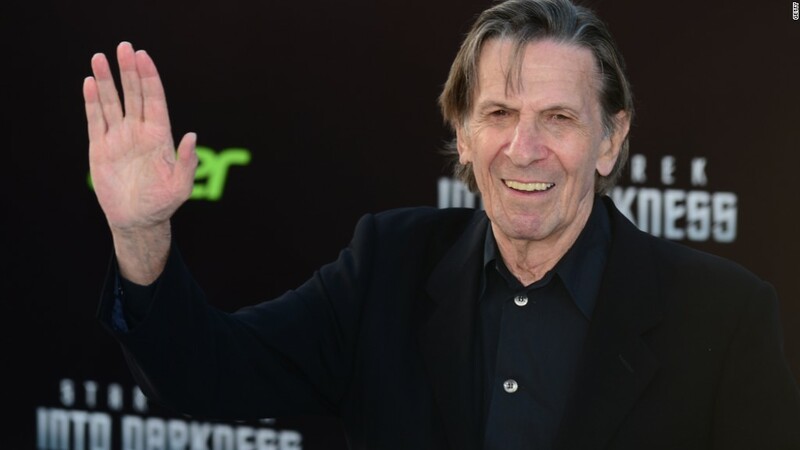 Just for the record, Nimoy was from Boston and Los Angeles, not Canada, and Spock was from Planet Vulcan.